I’ve seen enough ridiculousness on social media and other various websites that I figured I would jump in on this issue to bring in a dose of balance and a spoonful of reality. It’s what I do best. 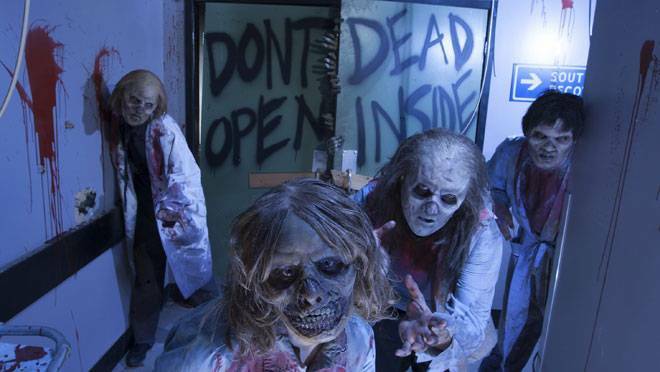 Saturday, November 1 marked the last night of Universal Orlando’s Halloween Horror Nights event much to the chagrin of Frequent Fear pass holders who regularly attend the event. For those in the dark, Frequent Fear Passes are sort of like an annual pass for Halloween Horror Nights. To keep it brief, there are various levels and add-ons you can get to the pass (such as Express Passes) and they are generally only good on the slower nights. As the dates creep closer to Halloween, often times Friday and Saturday nights are not available for FF pass holders since Universal can usually make more money selling full-price tickets and the park isn’t insanely jammed with too many people. As fate would have it, Halloween fell on a Friday this year. Fridays are traditionally crowded nights for Halloween Horror Nights and considering the holiday actually fell on a normally busy day, Universal blocked their Frequent Fearers from coming in on that day. However, if you bought a Frequent Fear Plus Pass (a small up charge), Halloween was green lit for you since that’s what those “plussers” pay for: Friday nights in addition to all the other nights. However, the true issue lied with the event’s closing night on November 1, the Saturday following Halloween. Considering neither form of Frequent Fear pass was allowed access on Saturdays (aside from the first night in September), many loyalists were bummed that they weren’t going to be able to attend the last night for a few reasons. For starters, the last night of HHN is sort of like the last day of school for many performers. It’s the last time you’ll get to see this group of people you’ve worked with for months until next year or possibly ever and the energy is much higher. This is particularly true for the performers at the Bill and Ted show, which is already pretty raunchy and crazy as it is. There are a few extra jabs thrown in for the final night and especially the last show that only those loyal fans can really appreciate since they have probably already seen it a dozen times earlier in the season. 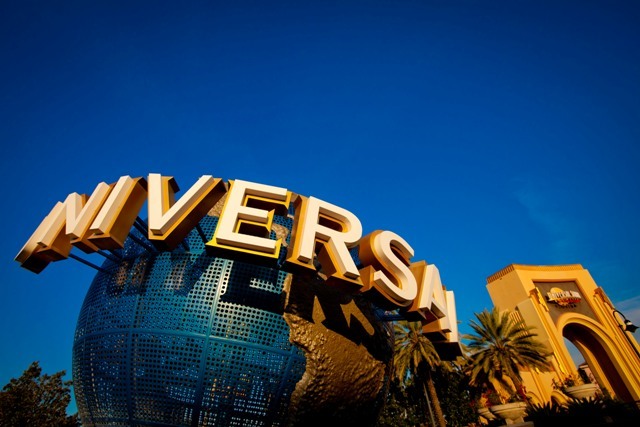 The biggest reason was that for the past several years, even though it was never advertised or promised, Universal routinely opened up the last night of the event to Frequent Fear pass holders due to a forecasted slower night than usual. 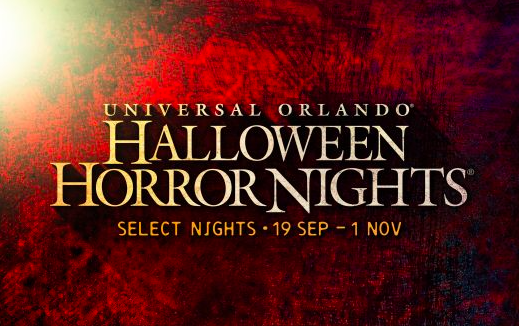 An interesting thing is that Halloween is usually a slower night at Halloween Horror Nights, as many people make other plans or have children they take trick-or-treating and thus, it’s a nice benefit for those who can attend. This year, considering Saturday was the day after Halloween, it was projected that the final night was going to be busier than normal and thus, Universal Orlando never opened it up to those who bought Frequent Fear passes like they had in the past. Fans didn’t take this news too well. Granted, it should be noted that Universal never hinted at opening the final date up this year, nor do they have any obligation to do so. On the other side of the coin, as it turns out, November 1 was rather slow at HHN and perhaps they could have accommodated the pass holders after all. In the last few days leading up to November 1, many Frequent Fear pass holders started hitting Guest Services hard with phone calls, e-mails and personal visits in the park begging the powers that be to change their mind. It never happened. Thus, many of these loyal fans ended up with a sour taste in their mouth for a perk they were never guaranteed in the first place. I am here to tell you that I think Universal did the right thing. Attendance projections for theme parks, including special events, are made on several factors including advance ticket sales, hotel occupancy rates, historical data and more. Considering I don’t pretend to have access to Universal’s private information, I can’t tell you what those numbers looked like several days before November 1. However, what I do know is when you make a decision like this, those projections are a calculated risk, but a risk none-the-less. Considering the last time Halloween fell on a Friday was 2008, it’s hard to compare that data with this year. 2008 was when the economy was in a seemingly endless downward spiral and theme parks were hit particularly hard. The Frequent Fear pass was indeed blocked out the 31st and the 1st of that year, yet the dates were lifted and the loyalists were allowed in for those final two nights. However, attendance that year was soft just because gas prices were hovering around or over $4 a gallon and people were starting to tighten their wallets before the holidays. It’s hardly a fair comparison. 2003 was the year prior to 2008 Halloween fell on a Friday and indeed the Frequent Fear pass was available to the public and was blocked out on the same days: October 31 and November 1. I can’t find historical data on if they opened those days up, but even if they did or didn’t, we are talking over 10 years ago – two years after 9/11. It’s irrelevant. Prior to that, there was no Frequent Fear pass in 1997. The point is – if the final night of Halloween Horror Nights was going to be incredibly busy because it was a Saturday, it would have been 2014. It didn’t happen. 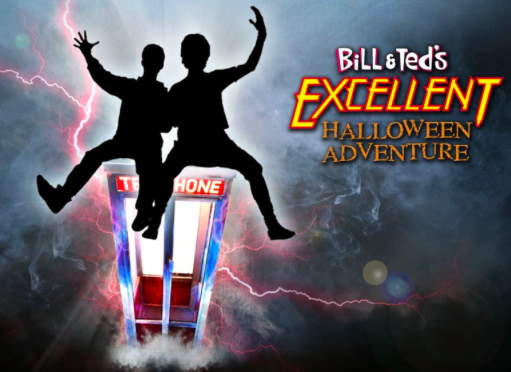 Lines were fairly short (hovering around 20 to 30 minutes for most houses) and shows never reached capacity all night, including the final Bill and Ted performance, which often fills up far in advance thanks to the pass holders who crave to see it. The few fans who did shell out full price to attend reported how slow it was and the outcry from Frequent Fear pass holders on social media was clear: Universal should have listened to them! Kids, it’s time to learn a valuable lesson. Social media won’t dictate how a business is run, nor should it. 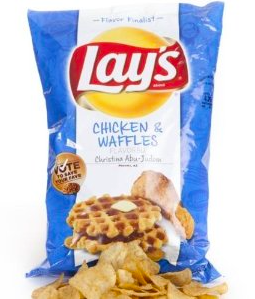 Sure, we can choose what flavor of Lay’s potato chip gets put permanently on store shelves. Occasionally, we might get other small victories by having our voices heard, but that’s few and far between. Businesses need to be able to make decisions on their needs and not due to pressure from what social media thinks they should do – including making mistakes. It’s how you learn and grow. However, this was not a mistake. I have said it before and I will continue to preach this until I am blue in the face: Loyal fans do not dictate how big theme parks in Orlando are run. Period. I know it may seem like you and hundreds of others are the dollars that keep an event like HHN going, but that isn’t really the case. Traditionally, the people who buy annual passes of any kind spend the least. They don’t need a hotel room, won’t buy add-on packages and spend less time in the park and can usually grab something to eat or drink before and after the event. If you’re looking to jump down my throat and say, “But I do stay on property some nights, eat at CityWalk, buy merchandise and drink on property every time!”, save it. I know it happens, but the data speaks for itself. Theme parks should always cater to the out of town visitor as they spend the most money on their entire experience. You don’t have to like it, but that’s just the way it works. This includes making sure the experience is as seamless as possible including… shorter waits, if that’s the experience you can give them. Meaning, if you can exclude Frequent Fear peeps from showing up in droves and the place being mobbed? So be it. Before you call me out on always defending “the man” here, keep in mind that it’s their job to make as much money as possible. They owe it to their employees, their shareholders and even the final product does end up being better thanks to making more dough. They do not owe the Frequent Fear pass holders a thing, regardless of how many years they have been coming. It said so right on the ticket where it listed the dates it was valid. Your thoughts? This entry was posted in Editorial, Universal and tagged annual pass, Date Restrictions, frequent fear, social media, Universal Orlando. Bookmark the permalink. Trackbacks are closed, but you can post a comment. The only reason they have frequent passes is because the theme parks can earn that money upfront rather than getting uncommitted tourist bucks. The frequent passes forces the customer to commit their money upfront, which is usually more money than what a tourist might spend for an one time trip. Then in aggregate the frequent park goer will eventually spend more money (as is hoped). Surely it is ” just the way it works”, but tourists also buy these frequent passes if they believe the value is there. Habits don’t change just because I might not always visit a particular theme park more frequently than the next park; however, it might be true that upon repeat visits, I will spend less money on subsequent visits. Theme parks should be comforted in knowing that they still got as much money as possible from the repeat customer instead of a mere one-off. That being said, a blockout date doesn’t change. This should be clear when you buy it. I wonder why the park didn’t offer discounts for blockout dates as that will at least accomodate some guests who wish to go. Fan51 while I understand the desire to cater to loyalist, I’ll have to agree with Josh of TPU that the corporations only loyalty is to the highest bidder. In this case the highest bidder is the out of town tourist who not only buys the hotel, food and full price ticket… but also posts photos on social media and encourages their out of town friends to visit for their next vacation. I’m A little confused by your comment on blackout dates. The definition of a blackout date is that you are unable to attend. I’m not sure how the theme parks could make that more clear? Maybe you are suggesting something else and I miss interpreted. Yes, you missed it. Many theme parks offer discounts on blackout dates to their frequent pass holders to encourage them to go and earn that extra attendance fee. Its easy money. You don’t think the highest bidder doesn’t include their frequent pass holder? That was my point. I guess what I’m trying to say is that although it theory it makes sense to be loyal to frequent visitors , the reality (in my opinion) is that its not a smart business move. The frequent fear pass holders are clearly loyalists therefore despite the fact that they’re upset…i bet they still plan on purchasing their passes again next halloween season. even if the pass holder decides “screw it, they aren’t getting my money” there will be one out of towner that will come for one day and spend more then the pass holder making up for the loss. What loss if the local frequent pass holder is willing to pay for more visits? Revenue booked is revenue in the bank. The high spending tourist exists along side the cheap tourist too. The only issue is whether the frequent pass holder crowds out the tourist thus the need for blackout dates. As for next Halloween, that’s another fiscal year. I have no concern about whether they are unhappy with the blackout dates as I already said. A blackout should be documented and adhered to as published. Yet you cannot count on anyone returning as repeat customers with a bad marketing message by not appreciating frequent pass holders. At best, no harm done. At worse, they screwed up.